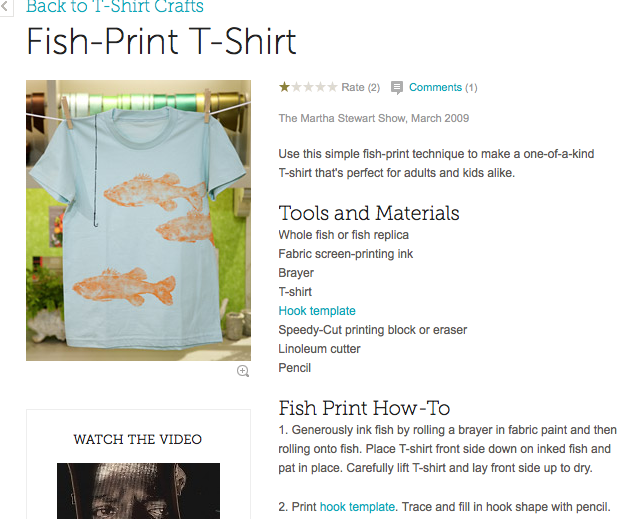 This is a DIY T-shirt project from Martha Stewart. Cool design, right? Take a look at the Tools and Materials List. First thing: whole fish or fish replica. First How-To Step: Generously ink fish. I like how she gives you a template for the hook, though.